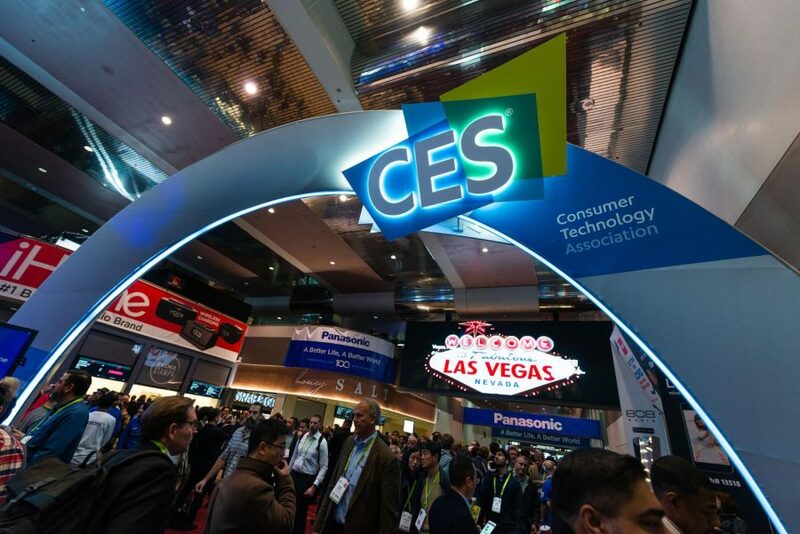 Eureka Park is the part of CES dedicated to startups, and it’s the section of the main floor that provides the best signal-to-noise ratio for products worth writing about. The products I see here have less chance of making it to market than those from established companies elsewhere—plenty of booths are here to raise investment capital or find a distributor, and if they don’t, they’re going home broke. But Eureka Park is also home to the most inventive and out-of-left-field ideas. In light of this, it’s worth mentioning two press releases I received from the Consumer Technology Association during the show. The first touted a new $10 million venture capital fund dedicated to businesses headed by women and people of color. This should be welcome, as top executives at booths are nearly always men (women are generally in marketing), and the biggest source of diversity I see comes from Asian companies. The second press release said that consumer tech revenue is at an all-time high with $397 billion in 2018. The industry doesn’t make Apple’s 38% margins, but we can safely assume that revenue figure generates roughly $40–$80 billion in profit, yes? So $10 million is… 0.025% of industry profits. I’m sure that veritable drop in the bucket will be more than enough to achieve gender and diversity parity. This is especially galling because a venture capital fund isn’t a grant program—managed correctly, the CTA should make money on it. What was meant as a positive PR move—aside from any altruism that launched the idea—just demonstrates how little interest there is in actual change. Furniture with built-in audio is old hat at CES, and yes, it’s impressive when a bass line rattles your teeth, until you remember that the audio-enabled couch you’re sitting on costs $4000. 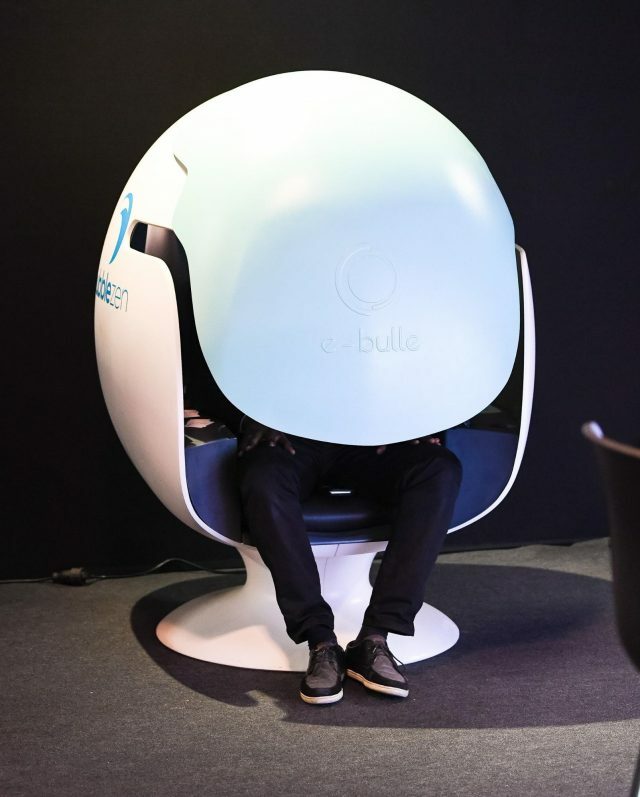 BassMe (Web site in French) intends to let you sit on any furniture you like—or walk around—wearing your own thorax-rattling subwoofer. 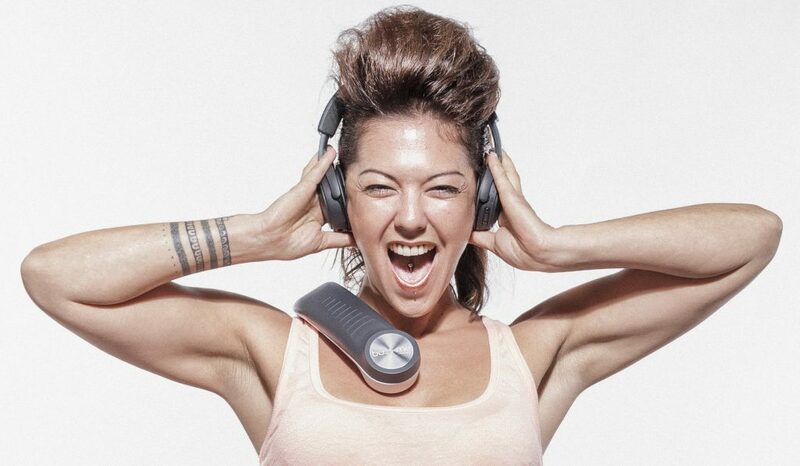 It’s a large clip that goes over your shoulder into your chest and back, and looks vaguely reminiscent of an implement of the Spanish Inquisition if Torquemada’s first job had been at Bang & Olufsen. Studio-Duroy, its designer, is looking for US distribution and intends a retail price of $150. I love science educational nonprofits—in fact, I run one—which is why Beauty and the Bolt caught my eye. They bring science education to the K-12 sector by providing hands-on STEM experiments via educational videos, kits, and “Makercrates”—a rentable box of equipment, such as a 3D printer, that kids can work with in class and ship back to the organization. Beauty and the Bolt is a 501(c)3 nonprofit with what they call a “Robinhood” pricing structure: when you check out with a full cart, you can opt in for a questionnaire about the resources of the school or organization you’re shopping for. Wealthy groups pay full fare, groups with fewer resources get a discount. The site makes it clear they’re open to all kids, but there’s a special emphasis on girls and people of color. Helpicto is a subscription service meant to make it easier to communicate with kids who are nonverbal due to autism. The service runs on computers, tablets, and phones, and translates spoken words into pictograms and back again. 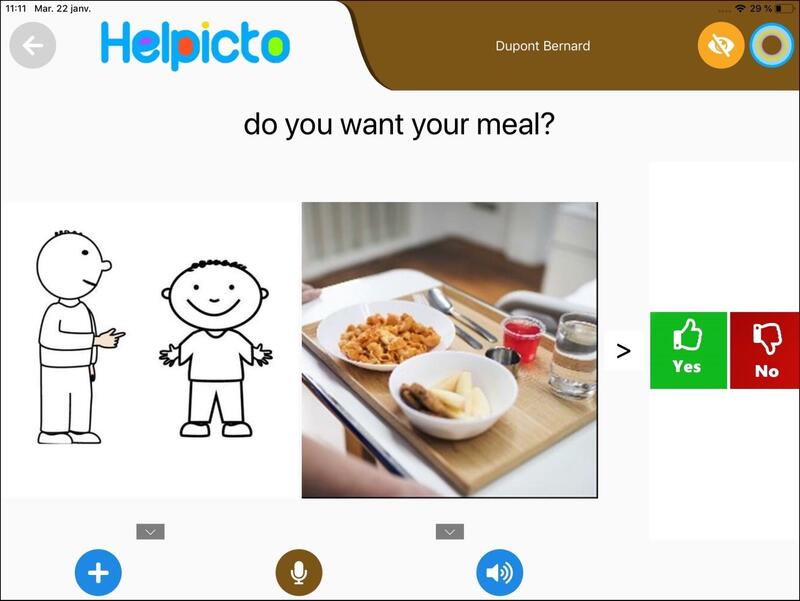 Say “do you want to eat an apple?” to the app, and it shows the child pictures and icons showing someone eating, and an apple. 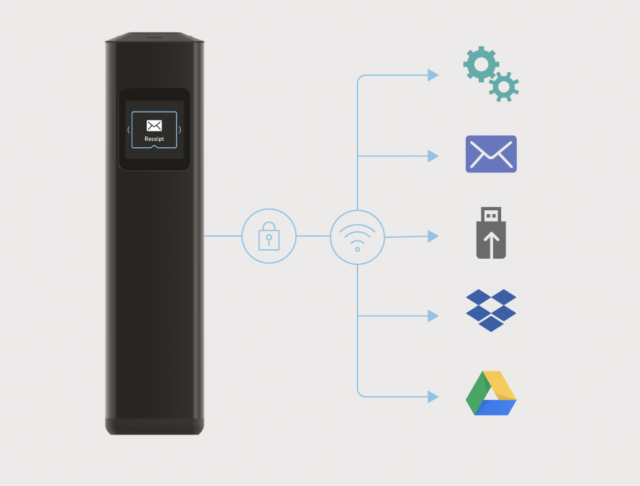 A library of icons and pictures allows the child to communicate back to parents, teachers, and other caregivers, and a cloud account keeps all of this synced across multiple devices. The service is now in development for international use outside of France, and is scheduled for US release in February 2019. It will cost $10–$15 per month after a 1-month free trial. I’ve seen several useful products for diabetes monitoring, but there’s one technical problem that can’t be solved with an app: insulin can’t be digitized, and it’s not shelf-stable at room temperature. LifeInABox is intended to be the “world’s smallest refrigerator” and is designed for such purposes—although as the pictured products are prototypes, the final sizes aren’t in yet. 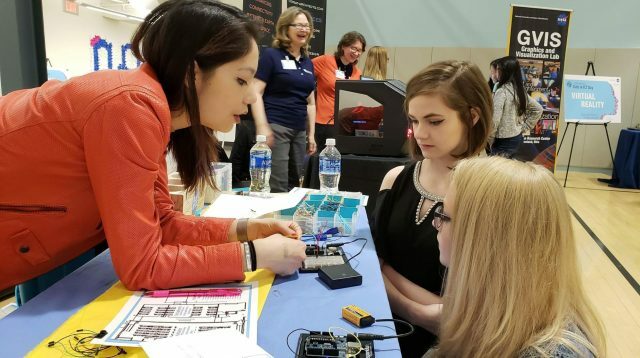 The Box is a lunchbox-sized fridge that can store up to a month’s supply of insulin, keeping it at 35–46 °F (2–8 °C), which you can monitor with your phone. If you need to keep different medications cool, you can adjust the temperature accordingly. It’s designed to run off AC power, 12-volt DC in your car, or a built-in battery, which you can supplement with battery packs. The booth representative told me that batteries would keep it cold for 36 hours—but the literature says 4 hours of refrigeration off the internal battery and 12 hours off of optional battery packs. Perhaps 36 hours when kept closed and insulated? The shipping model will include a magnetic lock that can be released by your phone. Lifeina also demoed an even smaller fridge that resembled a tall thermos with a 2-inch diameter—it can keep one or two insulin doses cool for 24 hours and has the same monitoring features as The Box. 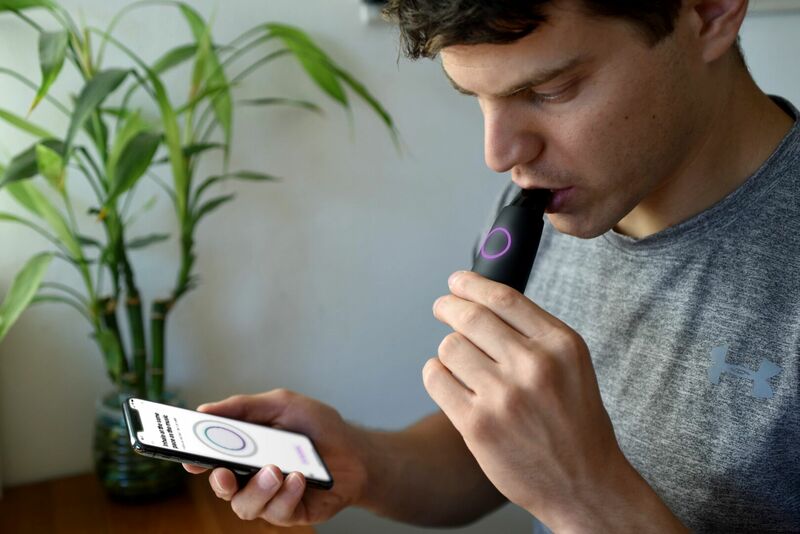 Both products are still in development and need to clear FDA approval, but Lifeina is hoping to bring them to market for $200 and $79 respectively. You’d be forgiven for thinking Lumen is some kind of lighting system, but you’d be half right, because the goal of Lumen is to make you lighter. It’s a breathalyzer that measures the carbs and fats you’ve recently eaten to help you judge how well you did yesterday, and give you tips and pointers for how to achieve the best balance today. A phone app gives you real-time metabolism measures and can prepare a meal plan for the rest of your day. It’s available for pre-order on Indiegogo for $249, and will retail for $299 when it ships in August 2019. I think Nexoptic is on to something, but I’m not entirely sure what. Later this year, the company will be introducing a replacement for binoculars that provides 2.5x to 10x magnification to a built-in 5-inch screen, using a technology it calls “blade optic lenses.” There’s also a suite of AI routines that provide image stabilization, auto-focus, zoom, and low-light correction. I assume the following will mean something to photographers: it has an equivalent focal length of 500mm and a 52mm diagonal aperture. The odd thing is that the press release says little about it also being a camera—I infer such from a mention that its “lenses feature 4K video.” The company’s other press releases imply that it is also trying to license its technology to phone and camera manufacturers. 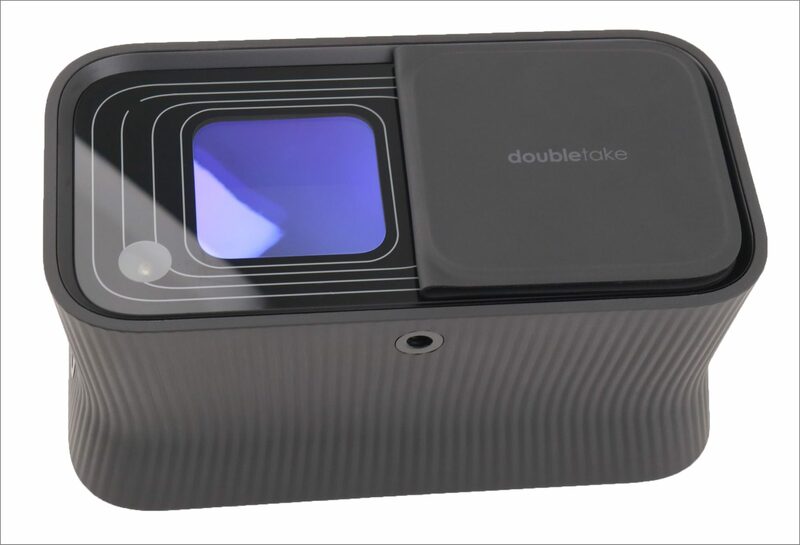 The product is unnamed in the press release but called the Doubletake in the prototype photos. It has no set price yet, and is due to arrive sometime in 2019. Considering the American obesity epidemic, it’s astonishing that 40% of the groceries we buy go from store to fridge to garbage bin because we don’t eat them before they spoil. Ovie hopes to change that with its tagging system. When you put food away for later, you attach a waterproof tag to the item and tell an Alexa device what it is. These tags either affix to Ovie’s optional range of storage containers, or clip to your existing ones. The tag will glow green when the container’s contents are still fresh, yellow when they’re nearing expiration, and red when it’s time to feed them to a dog you don’t particularly like. Ovie’s app will not only give you an inventory of what’s in your fridge, but will also suggest recipes for what’s about to expire. Tell the app which items you always want on hand, and it’ll track what you need to buy again on your next shopping trip. A single Ovie hub can handle any number of tags. Pricing is $130 and up for the initial kit including the hub, depending on how many tags are included, with additional packs of tags available. Ovie has committed 1% of its profits to nonprofits combating food waste and insecurity. There was a trend at CES with various booths demoing blue light blocker lenses, which make it easier to fall asleep by shutting out wavelengths of light known to be stimulating. I found these uninteresting, because pretty much every recent gadget, including Macs and iPhones, can already shift the wavelengths of light emitted by the screen. Propeaq, however, proposes that only the right blue light gets to you, with sunglasses that shine it into your eyes when you need it, and sets of differently tinted lenses that block it when you don’t. If you’re working a night shift or crossing multiple time zones, this approach is supposed to help you adjust more quickly to the new schedule. Research is promising but not yet conclusive, although the theory is similar to the old advice to avoid sunlight before you leave but get plenty at your destination. These glasses are portable sunlight for your face—which, er, I suppose regular sunlight is also, but maybe it’s not in abundance where you’re going. Propeaq claims that you can reset your body clock with only 30 minutes a day of use. The Propeaq glasses are available now in Europe for €239 and are coming to the US for $199. 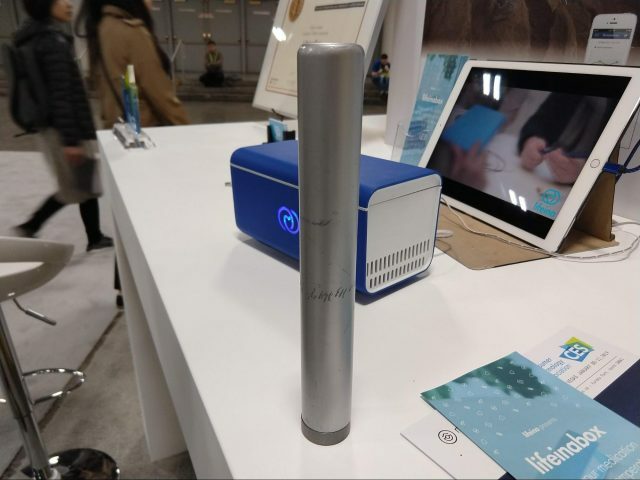 I was impressed last year by what is now called the PUPSCAN, a handheld scanner that projects a laser frame over a document you’re scanning to show you you’re capturing it correctly, and then pipes the image to any of a number of cloud services (see “CES 2018: Eureka Park Wraps Up CES,” 18 January 2018). The company wasn’t able to find a large enough consumer market for the device, so it has now pivoted to making it an accounting tool—the scans are now OCR’ed and formatted for import into various financial apps. But it still includes the feature set I saw last year, with one exception: it doesn’t yet do color scanning. PUPSCAN costs €329 and is shipping now to the US. I recognized the VideoLAN folks from 30 feet away, because they were all wearing the icon of their VLC app on their heads—a classic orange traffic cone. 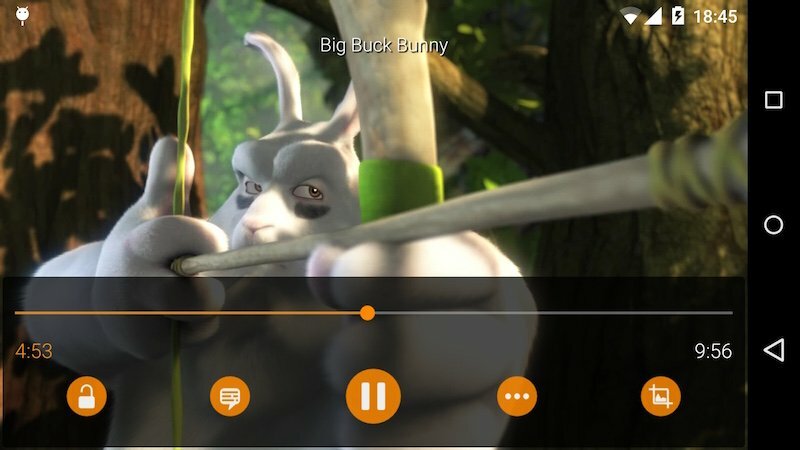 VLC, of course, is the free and open-source app that can play darn near any video format on your Mac or iOS device, and which on Mac has tons of other (nearly indecipherable) options for streaming, ripping, and transcoding video. The VideoLAN folks gave me a spec sheet with three columns of small print describing everything VLC can do, but the most notable news is the app’s support of the Alliance for Open Media’s AV1 video format. AV1 is also open source and royalty-free, and it provides features such as 30% better compression for streamed 4K video versus competing formats, scalability to the requirements of the displaying device, and optimization to work well regardless of the quality of hardware and Internet connection in use. VLC is available for macOS, iOS, and tvOS—in fact, it’s so ubiquitously available that you can still download a version for IBM’s OS/2 operating system, which hasn’t shipped for 17 years. I have a friend who is blind and tells me not to worry, but I can’t help it—whenever I see someone walking down the sidewalk using a cane, I scan ahead to make sure there aren’t any upcoming signs jutting out at head level they might hit at speed. (I’ve done that myself purely by not paying attention.) The WeWALK smart cane claims to solve this problem, among others, with an embedded scanner that will vibrate the handle if it detects an upcoming obstacle at chest height. The WeWALK cane also integrates with various apps, including Google Maps and Uber, to provide directions and other services—although I’m not sure how such information is communicated back to the user. There’s an iOS app that facilitates all this on an iPhone, but while the company’s Web site discusses Google Assistant integration, it doesn’t mention Siri. Available now on Indiegogo at $399 with promised delivery in June 2019, after which the price rises to $499.